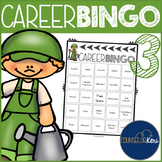 Bingo cards and calling cards related to multiple careers. 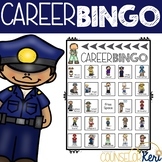 This game is a great way to introduce or end a career unit. 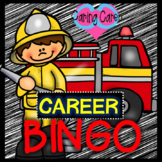 The fun of bingo using different careers. 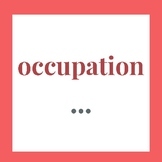 You may call by career name or for more challenging version, call the definition! 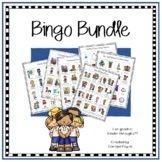 There are 47 different bingo cards! 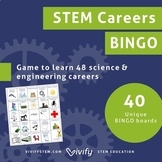 This is a career bingo game which allows students to review careers in the STEM career cluster. 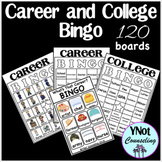 There are 30 individual cards and a bingo calling card. 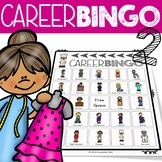 Career Bingo! 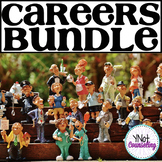 Perfect to play for career exploration! 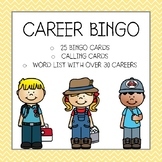 25 bingo cards 32 different careers to discuss while playing Calling cards to cut out - perfect to display on an overhead projector for grades that are still learning spelling! 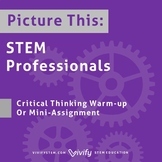 This answers the question...WHEN WILL WE NEED THIS MATH??? 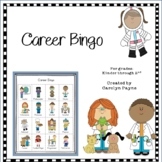 Students are prompted to have adults complete squares that correlate with math and different careers. 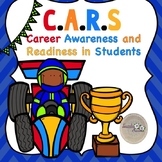 Real-World Connections, School-to-Home Connections. NO PREP! 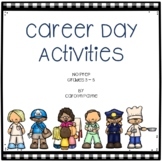 A fun activity pack for career day! 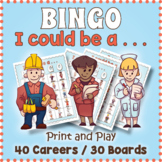 This resource encourages children to explore different careers, interview adults about their careers and interests, play a game of career bingo, and understand skills they learn now are in important for them to be successful in life and in their careers.